If only to get something fresh posted to the blog, here are a few images I captured during my time in Angola (with some sporadic commentary). The Baobab trees are freakishly large. This is far from the largest specimen I saw there. It’s just one I was able to get close to. Little Women at the Well. This girls are surrounding a water well drilled by the ministry I was working with in Angola. Prior to this well being drilled, they had to dig holes in a dry riverbed in the dry season to obtain water. Videographer Kyle Davis takes advantage of the wonderful late afternoon light. Off in the distance, a rock formation I dubbed (in my own mind) Mt. Viagra. This is how Angolan kids line up for food. Orderly, obedient, patient. And very tightly packed. We met a sweet young woman who lost the use of her legs to polio as a toddler. Her vintage hand-powered chair struck me as a piece of sad art. One of the saddest situations I saw (and that’s saying something) involved a group of people whose village (hundreds of miles away) had flooded during the rainy season several months earlier. The government had relocated these people by helicopter to this strange place and left them there to fend for themselves. They cobbled together houses out of whatever they could scrounge. Okay, it wasn’t really a vacation. Haven’t had one of those in about three years. But as they say, a change is as good as a rest. And my 10 days in Angola recently certainly qualifies as a change. That water in the street . . . that would be a sewage leak. We only spent one night in Luanda. The next morning we drove seven hours south along the coast to the city of Benguela. A hotel there would be our base camp for the next six days. Getting home proved to be a challenge. Due to back to back mechanical failures with a British Airways flight, we ended up requiring about 70 hours of travel to get home, sleeping in airports and airplanes. I wanted to kiss the ground when we landed at Raliegh-Durham. Nevertheless, one of my favorite things is traveling to a place and culture I’ve never experienced before. And this trip to Angola was rich in countless ways. Have I mentioned that I’m going to Africa in a couple of days? No? Well, things have been a little crazy lately. Must have slipped my mind. I’ll get to that in a moment. Tomorrow’s big news is that Female Offspring Unit #3, a.k.a. “the baby” (because she’s our youngest) turns 18 tomorrow. That’s right, this was my last day on earth as a parent with a child under the age of 18. What an amazing young adult this quirky, wiggy kid has turned out to be. Confident, compassionate, strong in faith, great character, and fun to be around. She has also been gifted with a an exceptional singing voice. This last weekend she sang at her grandmother’s little Baptist church to honor her on her 80th birthday. Mom was so very proud and profoundly blessed. 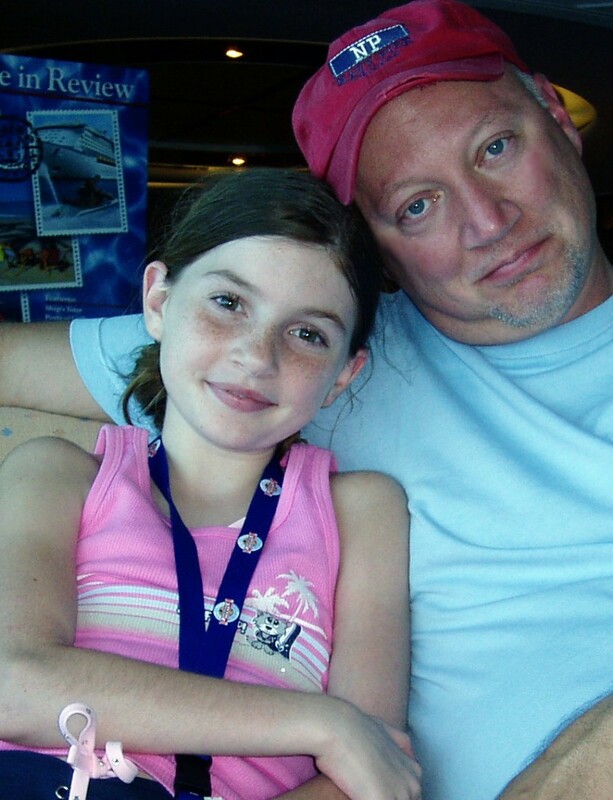 As are we–proud of our no-longer-little girl, and blessed to know her. Meanwhile, I’m heading to Angola Thursday evening. I’ll be there with a video crew and photographer for about 9 days to document some great work that is going on under some pretty grim conditions. Currently Angola has one of the highest infant mortality rates in the world. I’ll have pictures and stories when I return.